I had such big plans to finally get organised with this blog in 2019. This was going to be the year that I would come out fighting, finally bringing you regular snippets of my brilliance, pulling the whole thing together into a couple of unified themes, producing oodles and oodles of brilliant content, and then leading you gently by the hand to my little shop of delights where you would not hesitate to part with all your money. And it will still happen – the goals are still there and the plans are in place. But January was just not the month to start on this big endeavour. My husband and son have been ill for a lot of the month, and I’ve been in and out of hospital appointments. Rain and snow haven’t helped either with the kids having a few snow days off school, and a bigger need for mums taxi services due to public transport failure. On the positive side, the VA work I do for a weight loss company predictably goes bonkers in January, and this year was the best January they have ever had, leading to huge amounts of overtime for me. And so here we are, it’s February already, and finally, I am starting to come out from under all the stuff and getting back to the big blog and life project. And that, of course, is the whole point and message of this blog. As mums we are pulled here and there – we have so many demands on our time and resources. It’s a wonder any of us get anything done at all. But there is no point in worrying about it, we just have to keep on keeping on. By the time I have finished what needs to be done for everybody else, the blog just seems to take a back seat, along with my health, fitess and another couple of personal projects I’ve been procrastinating since I don’t know when. Well no more! This year I really intend to get organised and take this blog to the next level, along with several other areas of my life. 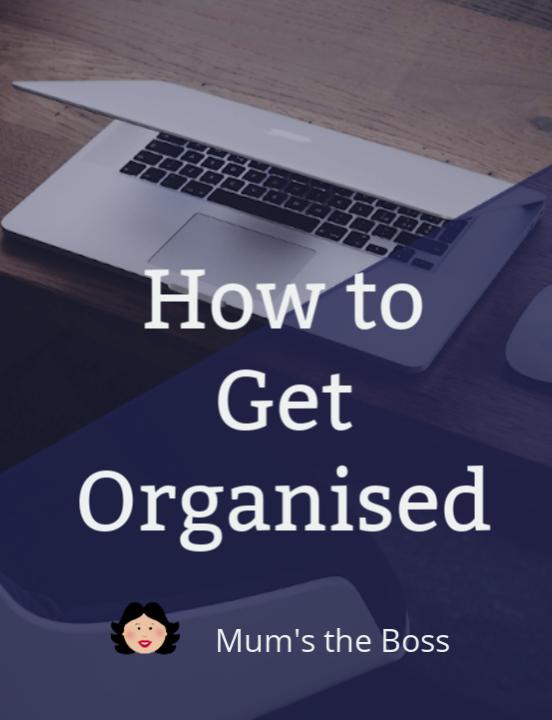 So how to get organised exactly? Unlike Marie Kondo, and the other great gurus of tidiness and productivity, this stuff does not come at all naturally to me. I’m not fond of routines and am very much a seat of the pants girl. I’m well known for my ability to improvise and come up with amazing plans to save the day when the sh*t has already hit the fan, or the deadline is an hour away, but not so good at planning to prevent the disaster in the first place. And I very much prefer a homely lived-in house, with all my stuff in easy reach, than a minimalist temple with small amounts of stuff, neatly squirrelled away. As a result, I reguarly lose things, and things on my to-do list pile up and I have a tendency to get overwhelmed with it all. Recently it dawned on me that I’ve started to think of myself as a very untidy, cluttered, disorganised person, and even this thought is starting to create reality for me. But that’s all it is – just a thought. 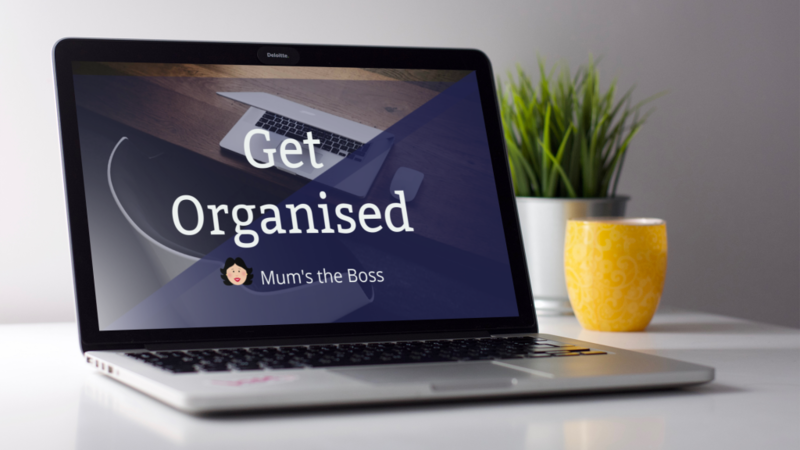 In January, I signed up for a free course from another blogger, which was all about reducing paper clutter, going digital, organising and sorting out all the things you need to do and starting to get organised. I signed up for the class and joined the Facebook group. And, to my surprise I found myself offering much more advice than I sought from the group. I am already organising a fair part of my life with digital tools, and I even have some of the routines and structures in place that the course was promoting. I came away from the course much happier in my own abilities and realised that I’m not as bad as I give myself credit for. I have what I need and I know what to do. That puts me ahead of a lot of people. All I need to do is get on with it. With this change in mindset comes a whole new perspective. The main reason why I didn’t start the blog stuff in January was that there genuinely wasn’t the time in the day to do it, and there really were more important things that had to be done and which took priority. That doesn’t make me bad or hopeless. Sometimes you have to accept that you have reached the limit of the possible, and that is just fine. I’ve simply put my plans back a month. I missed the 1st February too, but do you know what, the 7th is fine. I still have goals and plans, but the targets can be moveable and I’m fine with that. 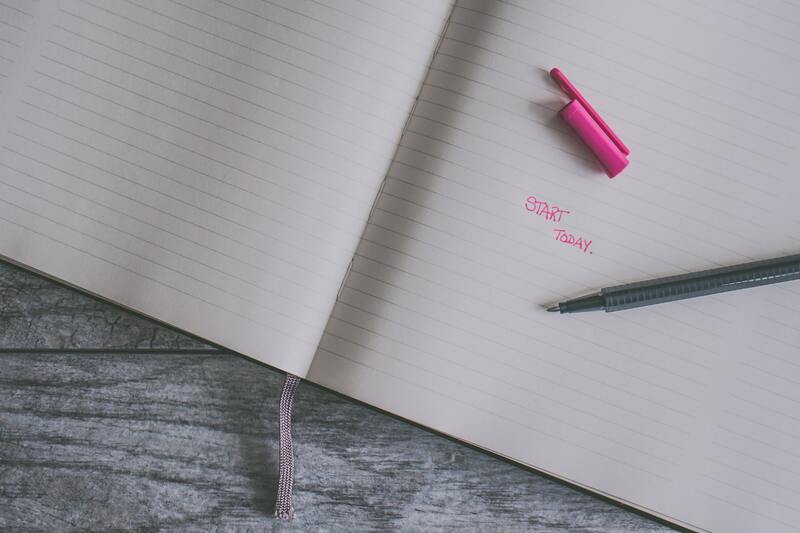 I have written some goals and targets for this blog and dug out some trusty planning tools, which I will be sharing with you in another post. Funnily enough my blog traffic targets for January happened anyway without too much intervention from me, thanks to the wonders of Pinterest and some evergreen posts which always get traffic at this time of year. But now it’s time to go further. I’ve read the books and absorbed the lessons, finding a schedule that works for me. 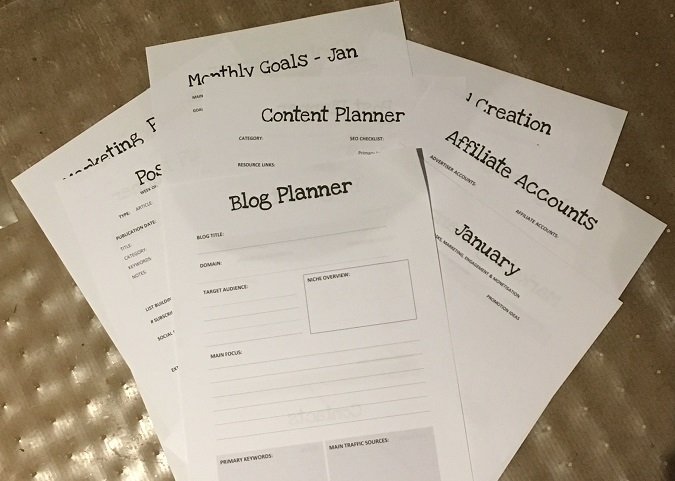 Would you like a free copy of this 114 page yearly blog planner? I have a journal, a daily planner and also a blog planner. I have set myself some targets and I will be working towards them, And I will be sharing my results with you, month by month. if you are looking to grow a blog this year, then do come and join us in the Blogging Mums club, as I’m certainly going to be expanding the scope of that group this year, so that it really provides value for bloggers, and so we can grow together. If you would like a free copy of my yearly blog planner, then please leave your name and details below. And if you are working on organisation skills, conquering procrastination and building your home business this year, then please do share some tips below. What I have realised is that there are always new things to learn. 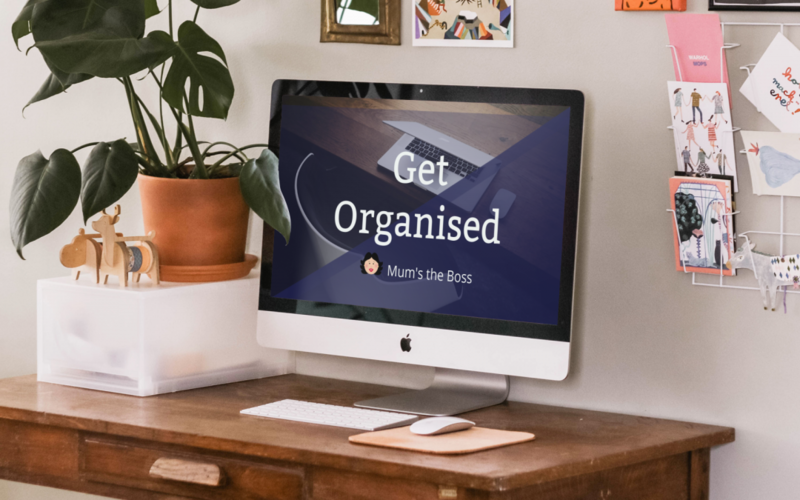 I’m inspired to get organised the Mum’s the Boss way! Have signed up for your planner. Thanks for sharing.